The Church Corporation Health Insurance Company review is a review of the Church Mutual Insurance Company. The Church Mutual Insurance Company has received an A (Excellent) financial security rating from the A. M. Best Company. The A. M. Best Company is currently the most trusted financial strength ratings provider for the insurance industry in the United States. Compare health insurance rates in your area today with our free online tool. Enter your zip code now to begin your personalized search! Two Lutheran ministers and eight church members formed the Church Mutual Insurance Company in 1897. The Church Mutual Insurance Company offers specialized insurance products designed for religious institutions. Some of these religious institutions include churches, camps, religious schools, senior living facilities, and denominational offices. The Church Mutual Insurance Company offers these products to all religious institutions no matter their denomination and today provides insurance policies for over 100,000 religious institutions. Until the first sales person was hired in 1954, the Church Mutual Insurance Company sold all of its insurance policies through the mail. Today, the insurance policies of the Church Mutual Insurance Company are mainly sold by their more than 180 regional representatives with their remaining policies being sold by independent insurance agents. 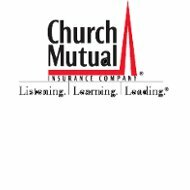 Over the next 50 years, the Church Mutual Insurance Company continued to grow exponentially and in 2006 the company saw assets climb above the $1 billion mark with sales setting a new record for the company at $575 million. The religious institutions that can benefit from a Church Mutual Insurance Company policy include worship centers, schools and colleges, camps, conference centers, senior living communities, denomination and association offices, and international travel assistance and insurance. The systems and equipment breakdown insurance covers things like computers, copiers, fax machines, telephone systems, air conditioning systems, alarm systems, elevators, panel boards, video equipment, sound equipment, and lighting equipment. Whether it is for a mission’s trip, a church group trip to another country, or a clergyman traveling abroad on church business, it is important for a religious institution to have adequate travel insurance. The travel insurance and assistance program offered by the Church Mutual Insurance Company is the AIG World Risk insurance program. This program comes with two types of insurance coverage and an assistance program. The two types of insurance coverage in this specialized program are foreign travel accident and sickness insurance and foreign commercial general liability insurance. The Church Mutual Insurance Company does not offer personal lines of health insurance. To find the best health insurance rates in your area just enter your zip code above now!